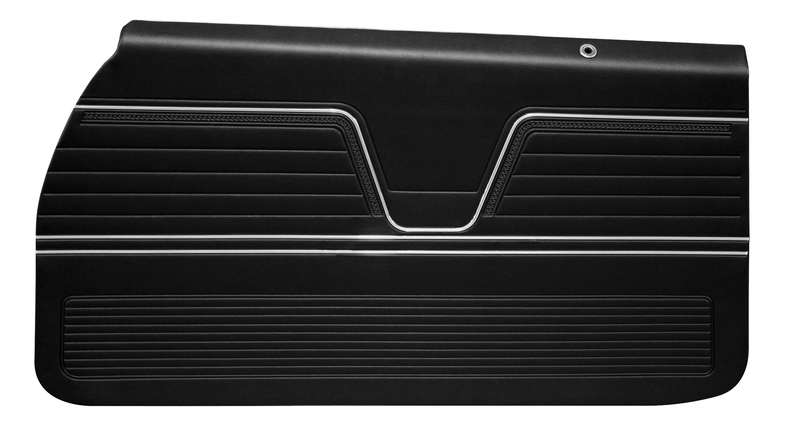 Distinctive Industries 1969 Chevelle/El Camino Pre-Assembled Door Panels are a correct reproduction of the original. We offer original Madrid grain in 32 oz vinyl. The dielectric patterns are correct along with the chrome (Mylar®) trim, metal upper rail, inner window felt, and hole placement pre-cut into the panel backed by die cut fiber board, just like the originals.